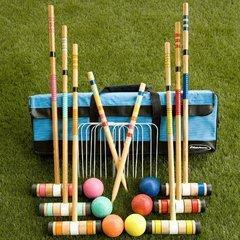 A full croquet set easy to carry around and easy to set up!! Awesome game for any event ! !